We are proud to be receiving so many glowing reports from our clients praising the power and time-saving tools which are provided with AllyCAD 2014. Design office manager Gideon Hahn of EFG engineers relies heavily on the software and the Knowledge Base Support Centre for their infrastructure design projects. He is currently using the software for a large scale project near Stellenbosch which includes the dualling of the R310 between the N2 and the Stellenbosch arterial road. Gideon has been particularly impressed with the time saving features inherent within the software. He explains that "the plan layout feature means that there is no need to redraw the entire drawing when there are alterations to a design. Further, the new Block Editor feature also significantly cuts design time. Editing blocks is easy and changes immediately reflect through the entire drawing." Download and Install Straight Away! AllyCAD gives you everything you need from a CAD package including full DWG compatibility with no loss of data and super-fast handling of huge images and geo-referenced data. Not only is AllyCAD very competitively priced, but also, unlike some software providers, we do not let you down once you have purchased AllyCAD. You can always upgrade your existing software without paying for a full license, no matter how long ago your Subscription lapsed. Knowledge Base will always provide the software, support and training that fits your project schedules because we believe a genuine working relationship with our clients builds real mutual success. If you are not already up-to-date with your subscription, contact us to find out how we can help you experience the benefits of AllyCAD 2014. 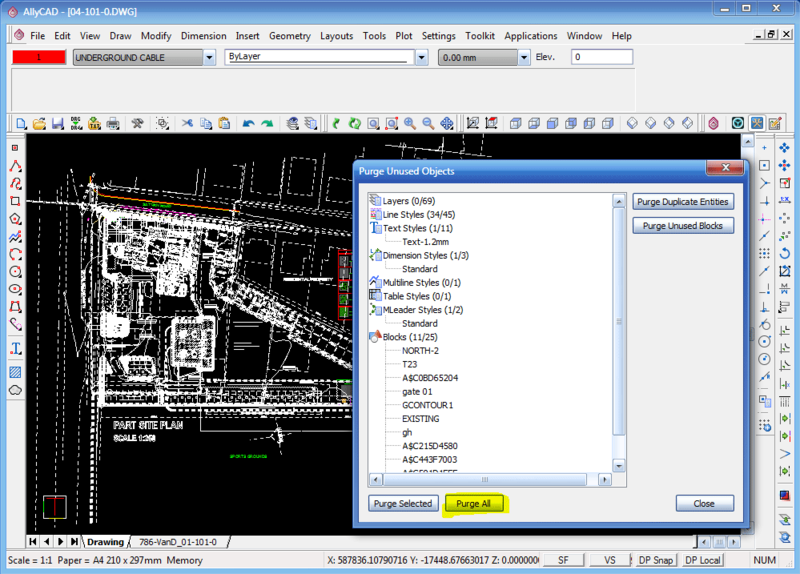 The Block Editor allows you to edit the CAD-entities in the block definitions in your drawing. 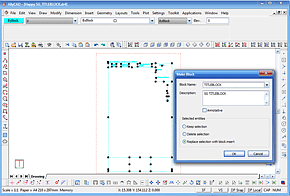 It will display the selected block in a separate drawing window. Once you have finished editing the block you may simply close the window or use the Save option. Select and display a layout from a displayed list which makes it a lot easier to find a specific layout when there are many drawing layouts. A new utility can capture and geo-reference the active view from Google Earth. The resulting image can then be imported into the correct position in a survey drawing. This is useful for pre-planning, development surveys, preliminary designs, etc. You can also extract grid elevations from Google Earth. Lines and polylines can be exported from the visible layers of your project to Google Earth as a KML file to act as an overlay. 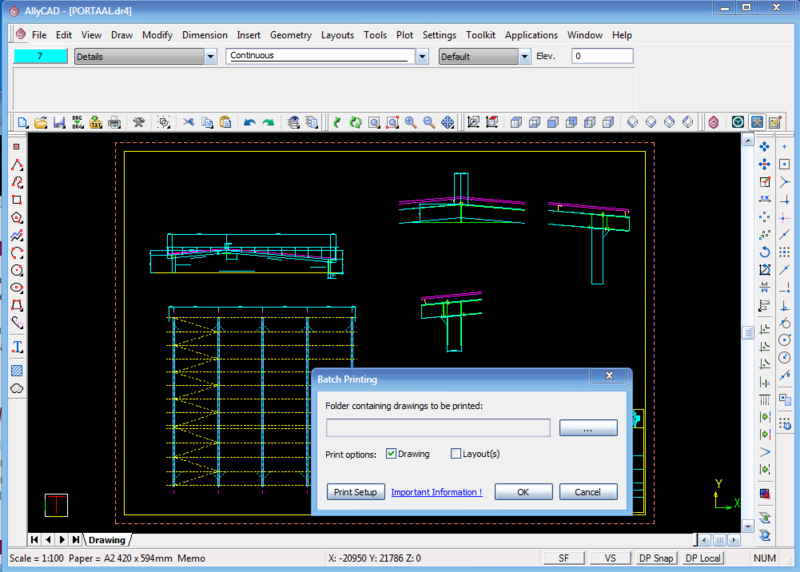 AllyCAD 2014 gives you faster redraw speeds with optimization and drawing settings caching. Navigation in the 3D Render View (zoom in/out, pan and rotate) has been made very quick and easy to use. Drawing entities can be linked to external databases containing attributes, should the information in external database be updated the associated drawing will be updated without editing. In addition, data associated with entities in SHP files can be linked and queried. Hot-keys 1 to 9 have been assigned to the first 9 named viewports or, if no named viewports are defined, to pre-defined zones within the paper limits in the drawing space. For those of you that know how to use AllyCAD but want to improve your productivity even further, we have launched an AllyCAD Advanced course and are taking bookings now! To come on the Advanced course you will need to have completed our AllyCAD Proficiency course. Email us at info@knowbase.co.za to make your booking. We look forward to sharing more news, information and software tips with you in our next quarterly newsletter. For any feedback, enquiries or comments, please do not hesitate to contact us. This function removes unused objects from the drawing thereby reducing it's size. You can select which entities you wish to remove. 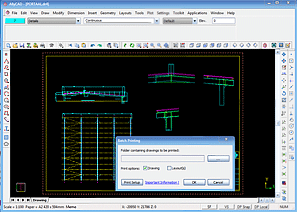 Batch printing allows you print the drawing, the layouts or both from all AllyCAD drawings in a selected folder. Print orientation is automatically selected according to the drawing and/or layout settings. The Department of Trade and Industry offers funding for up to 90% of the cost of your software. This is offered to all enterprises that are majority black-owned in South Africa. The maximum grant amount you can qualify for is a R100 000 towards the procurement of AllyCAD or CIVIL DESIGNER. Additionally you can get a grant for training on the software for up to R15 000 (ex vat) per individual. While the process can take up to 4 months, depending on numerous factors, we are able to lease the software to you during that period so you can get immediate access at minimal cost. To qualify for this incredible opportunity your company will need to meet various requirements. The new improved version is more easily understood and the manuals are clearly set out. Much work has been done.